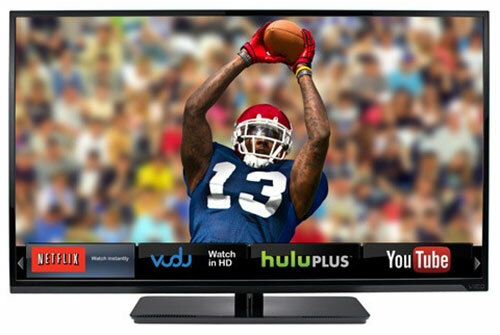 Undeniably, screen size matters when buying an HDTV. But how big of TV do you need? How far away from the TV do you plan to sit? Five feet? Ten feet? If it's around 5', then the THX folks suggest a 50" TV. If you're familiar with the old rules of sitting three or four times screen width away, then even the SMPTE suggestion may seem too intimate, but remember we're talking about high definition images that can withstand close inspection. For me, the answer is simple. I would buy the biggest screen size that I could afford, assuming that I'm not losing any picture quality. Of course, I like to sit up close in movie theaters. And what was considered huge a few years ago, seems like a portable TV now. 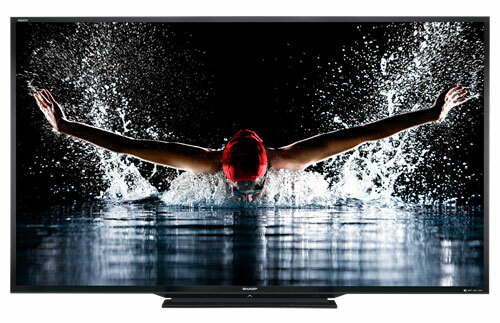 Currently, Sharp makes the largest consumer TV display at 90 inches, that's a screen measuring 7.5 feet diagonally. I appreciate the design considerations of mounting a TV the size of a double bed mattress on your living room wall. And 11 grand is a budget buster for most of us hoi-polloi. But I still believe that bigger TVs provide a more immersive viewing experience. I fully realize that I have been spoiled by reviewing large TVs, but personally any size less than a 50-inch screen seems small. And something over 60 inches would be preferable. For the casual TV viewer, these sizes may be overkill, but if you are trying to create a "home theater" environment that fills your field of view, then TVs this large can give you that cineplex setting. Also from my experience in reviewing the 84-inch LG 84LM9600 Ultra HD TV, I was surprised at how quickly I adjusted to the enormous size of this TV. In less than five minutes, I was nudging my chair closer and closer. Another factor when considering screen size is that TVs are becoming lighter and lighter. And I'm not just comparing them to the hulking CRT TVs of last century. Many 2013 LCD models weigh noticeably less than comparably sized LCDs from a couple of years ago, making them easier to manhandle. Prices in the marketplace constantly gyrate. One trend that I track is what I call the sweet spot for HDTVs. As TVs become larger, they are incrementally more expensive. At some size, the price jumps more than usual. The size right below that is the sweet spot. In 2013, that spot is around 46 to 47 inches. Prices for TVs larger than that tend to jump disproportionately. Of course, manufacturers are offering models with different features that cover a range of price points. And for the holiday season last year, a few 60-inch LED TV models dropped below $1000, which proves that if you are diligent and patient, you may find a bargain on a TV at even a larger size. And as TVs manufacturers make bigger and bigger TVs, that sweet spot should inch up. I know that not everybody wants a large TV dominating their room. One solution is what I call a hybrid HDTV that also can double as a computer monitor, which is perfect for a bedroom, dorm room, or kitchen. 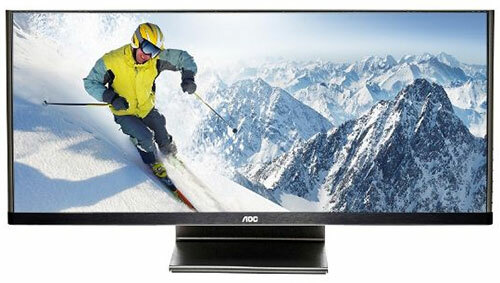 I'm beginning to see a lot of 1080p hybrid LCDs in the 24" range. And remember when a 32" TV was considered humongous? Now, it seems petite. With street prices for even brand name models below $300, many folks are finding this size a good fit for their room and their budget. This information is awesome! Very easy to read and comprehend....definitely on a level where anyone can understand what they're reading, not just hd geeks. It's been years since I bought a new tv and with this new knowledge I now feel confident enough to go shopping. Thank you so much!